Casey Kasem with his wife Jean. 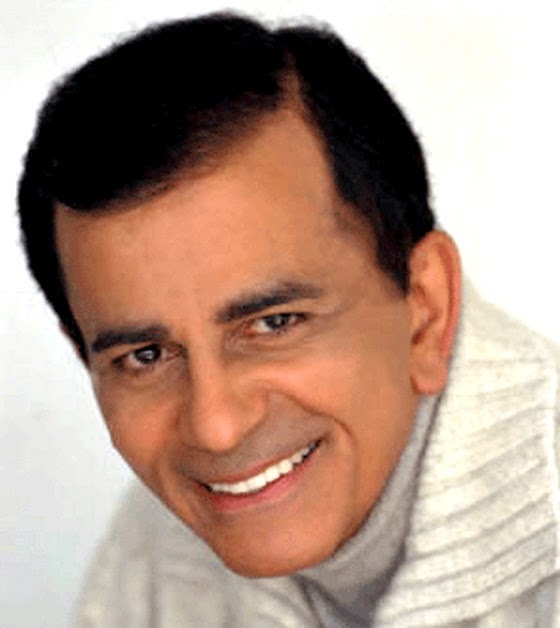 Casey Kasem, pioneer of the top 40 countdown. countdown shows. I’m pretty sure both were on CKXL 1140 in Calgary. One was a local show, the other was the legendary, “American Top 40” hosted by the iconic Casey Kasem. I hadn’t thought much about that until recently, when I heard Casey Kasem had passed away. There was something comforting about the voice. More than how he said it, Kasem added value to the countdown with a great turn of phrase and information on the songs and artists he was counting down. I listened to it in the living room on mom’s stereo, then at work when I started working for Gergeley’s Greenhouse. The jingle, “Casey’s Coast to Coast” became as familiar as the songs he was playing. Jean Kasem and Dan Hedaya as Nick and Loretta, "The Tortellis". Here they stumble into Cheers before getting their own show. In the second season of “Cheers”, 1983-1984, Carla Tortelli, played by Rhea Perlman, is visited by her ex-husband Nick. He is getting married to a beautiful but dumb blonde bombshell named Loretta. Eventually, in January of 1987, Nick and Loretta got their own show, “The Tortellis”, which lasted 13 episodes. 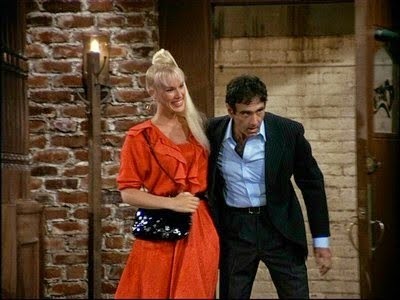 Loretta was played by Jean Kasem, Casey’s second wife, who was married to him until the day he died. There was a fight in the last part of Casey’s life over custody of him between Jean and his children by his first wife. The last time I heard Casey Kasem was in the summer of 1996. He was hosting a different program, but the voice and the style were still unmistakable. I was working for the Edmonton Oilers setting up “Breakout '96” and the semi trucks that hauled in all the equipment were blasting the radio. There he was, counting down the hits of 1996. I did not recognize a lot of them, as I had paid no attention to pop music the previous three years or so, but I got to know all about them thanks to Casey. I kept thinking, I hadn’t heard him in years, but the style was still the same. There was something comforting and reassuring about the fact the countdown was the same, week in and week out, while so much else changed. It made perfect sense, because Casey Kasem pioneered the whole concept of the countdown show, back in 1970. Thanks for everything you taught me about music as a historian and disc jockey. Now rest in peace – you deserve it. * This video is the perfect countdown. It is for the week of Feb. 15, 1986. That was a pivotal week in my music-listening life. It was three days before my 16th birthday, and a couple weeks before I started working at the greenhouse. Plus, it better demonstrates what Casey Kasem was than anything I could write. I likely listened to it live.